Some of the biggest selling brands of dog food are deceiving owners on the nutritional content of their food, according to new research. 30% of the brands tested didn’t make it clear how much fat, carbohydrate, or salt were in their products. As a result, an increasing number of dog owners are choosing to feed their pet hounds a natural diet which consists heavily of meat. 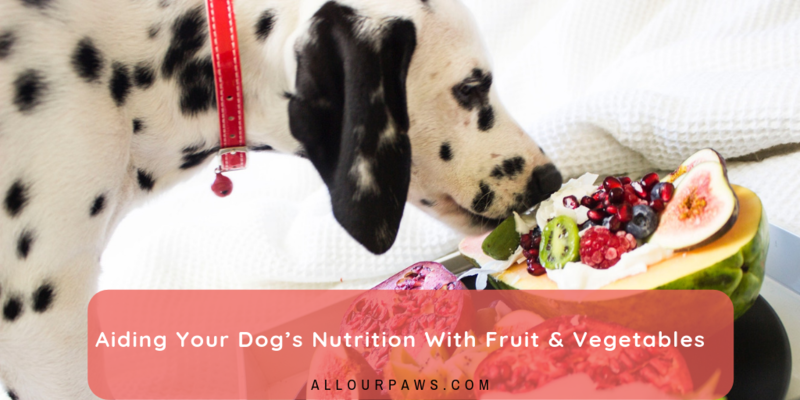 However, to ensure your pooch is getting all the nutrients he needs, you should incorporate fruit and vegetables into his diet too. When given in moderation, fruit and vegetables make a great addition to a dog’s diet. They are packed full of vitamins, including B vitamins, and vitamins A, C, E, and K, all of which contribute to good physical and mental health. What’s more, many vegetables are largely alkaline, whereas, meat is acidic. 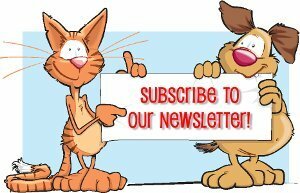 Therefore, when vegetables are consumed by a dog they help to alkalize the body, which is beneficial for organ function. Fruits, such as blueberries, slices of juicy apple, strawberry, banana, and pineapple can be awarded to dogs, in place of meaty treats. Fruits can also be used to make sweet nutritional meals and treats for dogs, such as smoothies and ice lollies. 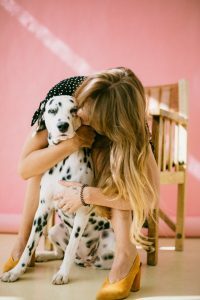 When combined with ingredients, such as yogurt, you can create a smoothie which will reduce inflammation in dogs with arthritis or similar ailments. Meanwhile, ice lollies can be created with water and slices of fruit, for a refreshing treat on a hot summer day. Vegetables are a great addition to your dog’s meat-based meals. Not only do they add a whole new flavor, but they are nutritious and packed full of nutrients too. However, before you go adding mountains of veg to your dog’s dinner bowl, make sure you’re only offering safe vegetables. Sweet potato, spinach, carrots, peas, and cauliflower are all safe for dogs to consume. But you should avoid onion, mushrooms, and asparagus as they’re harmful to dogs. And, as vegetables are typically high in fiber, it’s best to feed in small amounts to avoid stomach irritation. An increasing number of dogs are being fed natural meat-based diets. But, to be sure your hound is getting all the vitamins, minerals, and nutrients he needs, you should seriously consider incorporating fruit and vegetables into your pet’s meal times too.